This is a single use GMetrix practice exam license for the Microsoft Certified Educator (MCE) certification exam. The Microsoft Certified Educator (MCE) is a professional development program that bridges the gap between technology skills and innovative teaching. 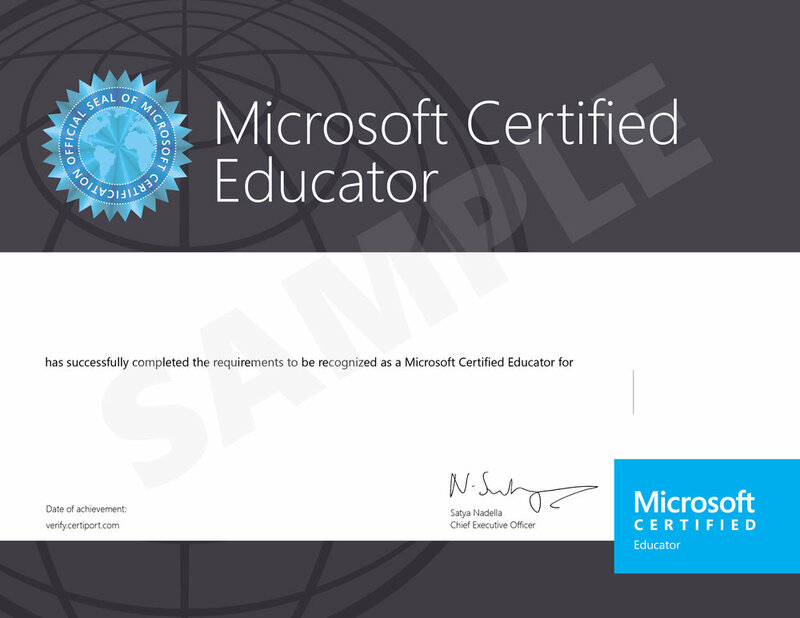 Educators holding a MCE certification can prove they have the skills needed to provide rich, customized learning experiences for their students that incorporate critical 21st century skills using Microsoft tools. GMetrix online practice tests are designed to replicate the certification exam experience so test takers can better prepare themselves for test day. The practice tests use the same exam format as the certification exams and are mapped to the certification objectives so a test-taker is assured that he/she is learning and practicing the skills that will help him/her pass the certification exam. GMetrix has two test modes; Testing Mode and Training Mode. GMetrix accurately replicates the testing environment.